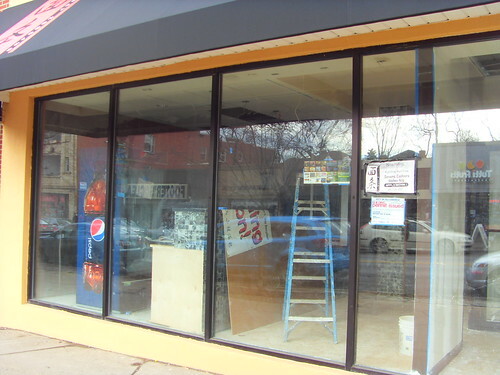 PennsylvAsia: Progress on Everyday Noodles in Squirrel Hill. 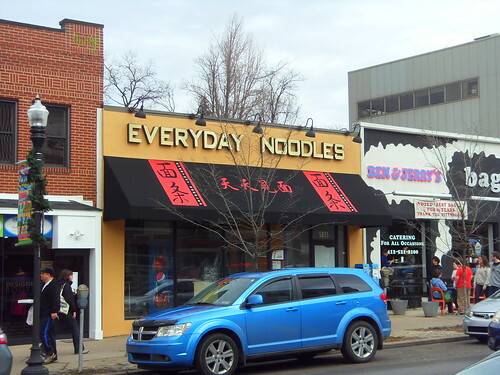 In October "coming soon" signage went up for Everyday Noodles on 5875 in Squirrel Hill. 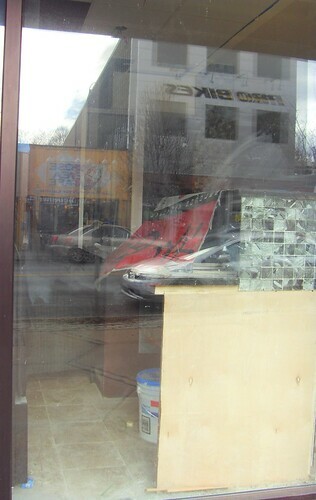 An awning and an exterior sign went up a little later, and the paper recently came off the windows. There's still a lot of work to be done on what used to be an art gallery, and the interior is still in some disarray. But it looks like there's at least one encouraging development: there's a counter against the window providing a view of the preparation area from the street and the dining room. If you're going to tout handmade noodles and dumplings, that's what your restaurant needs.